Human Rights Watch is concerned by the apparent mistreatment of Mr. Mourad Belmâachi, a thirty-nine-year-old Moroccan citizen. He has now spent over two years in pretrial detention on charges of falsifying a document in order to escape liability for an unpaid debt. Mr. Belmâachi, a well-known businessman, claims that after arresting him at his office in Casablanca on June 7, 2004, police tortured him into signing a false confession during three days of garde à vue detention in the Derb Sultan el-Fida police station. The police used clubs to beat him on the soles of his feet, Mr. Belmâachi claimed. Brought before the investigating judge in Casablanca on June 10, 2004 (case file 209-65/2004), Mr. Belmâachi denied all charges against him and asked for a medical examination to verify his claims of torture, a right provided defendants under Articles 73 and 74 of the Code of Penal Procedure. According to his lawyer, Mohamed Karrout of Rabat, the investigating judge ordered a medical examination but the prosecutor never carried out the order. Mr. Belmâachi obtained a medical examination one week later, only after prison authorities granted his request for medical care. By that time, traces of torture would have faded. Transported to Casablanca’s Ibn Rochd Hospital, Mr. Belmâachi obtained a forensic medical report stating that he suffered intense pain in response to pressure on his feet, but that x-rays showed no indications of fractures. On July 9, 2004, Mr. Belmâachi filed a complaint against the police for torture with the General Prosecutor at the Appeals Court in Casablanca, Belghiti Alaoui (case file 1168/2004). The complaint named some of the agents of the judicial police in the Derb Sultan el-Fida district of Casablanca who allegedly took part in torturing Mr. Belmâachi: Aziz Kamal Idrissi, Mohamed Hamani, and Ahmed Guennouni. The prosecutor, in a letter to Mr. Karrout, Mr. Belmâachi’s lawyer, said he had decided to dismiss the complaint for lack of evidence. At that point, he had not sought Mr. Belmâachi’s testimony. On November 29, 2004, Mr. Karrout filed a motion to re-open the torture investigation. The prosecutor on January 7, 2005 wrote to him that he had referred the complaint to the police for investigation (case file 1160/04 of January 3, 2005). That month the police visited Oukacha civil prison in Casablanca to take Mr. Belmâachi’s testimony. In June 2006, the Belmâachi family learned that the prosecutor had decided once again to dismiss the complaint. Authorities have charged Mr. Belmâachi with theft of documents, falsifying them, making use of that forgery, corruption, and destroying documents. All of these charges stem from a criminal complaint filed by three lawyers in a Casablanca law firm, Bassimat al-Fassi al-Fihri, Asma al-Iraqi al-Husseini, and Raqiya al-Kittani. They allege that in April 2004 Mr. Belmâachi recruited an employee of their firm to provide him with a document related to a bank loan that was in the firm’s possession, in order to alter it illegally. His alleged motive for doing so was to evade his obligation to repay a large loan of which he was listed as a guarantor. Mr. Belmâachi claims he is innocent of all charges. 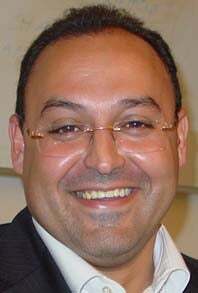 His father, Thami Belmâachi, told Human Rights Watch that Mr. Belmâachi maintains he is the victim of personal score-settling by powerful individuals seeking to derail his bid to head the General Business Confederation of Morocco, a national association of business owners that is holding internal elections on June 30, 2006. Mr. Belmâachi is on trial before the criminal chamber of the Casablanca Court of Appeals, which is the court of first instance for offenses of this nature (case file 605/2005). He faces a long prison term if convicted as charged. He has been in pre-trial detention in Oukacha civil prison since June 2004 (prisoner number 86204). Other developments in the case suggest that Mr. Belmâachi’s rights as a defendant have been violated. The court has consistently refused to grant him a provisional release pending his trial, despite failing to provide the grounds that would justify his prolonged pre-trial detention. The sole justification that to our knowledge the court has provided is the standard “absence of guarantees” that Moroccan judges habitually use to refuse defendants their provisional liberty. This explanation seems grossly inadequate to justify depriving Mr. Belmâachi of his freedom for over two years, especially in light of the implementation in 2003 of reforms to the Code of Penal Procedure intended to strengthen the presumption of innocence. A third concern in this case is that, according to Mr. Karrout, Mr. Belmâachi’s lawyer, the court’s case file contains only photocopies of the documents that the defendant allegedly altered, whereas only the originals should be admissible as evidence. We understand that at the most recent session of the trial, on June 13, another member of the defense team, Mohamed Ziane, asked the court to produce the originals at the next hearing, now scheduled for July 4. The defendant’s father informed us that he presented a file concerning the case in person to Moulay Hichem, your chef de cabinet, during the month of May. According to the father, Mr. Hichem promised him a reply but the family has so far received nothing. We also are told by the Moroccan Association for Human Rights in Rabat that they have received no response to the letter they sent you in October 2004 requesting an investigation into Mr. Belmâachi’s claims of torture. Human Rights Watch is eager to ensure that Mr. Belmâachi’s rights as a defendant are fully protected. We are particularly concerned by his allegations of torture, which the office of the prosecutor has chosen to dismiss. clarification as to whether the originals of allegedly forged documents can be found in Mr. Belmâachi’s case file, and are therefore available for examination by the defendant and his lawyers. In view of the prolonged period that Mr. Belmâachi has spent in prison awaiting trial, we hope the court will review the basis for his pretrial detention and release him immediately if the grounds are found to be insufficient. We also hope that during Mr. Belmâachi’s trial, he will be permitted to examine the originals of the allegedly forged documents and that he benefits fully from his right to a fair trial. We urge that Mr. Belmâachi’s statement to the police be ruled inadmissible as evidence if a thorough, neutral investigation supports his claim that the statement was extracted through improper coercion. Finally, if such an investigation supports his claims that police agents tortured or otherwise mistreated him during garde à vue detention, we urge that those agents be brought to justice. We thank you in advance for providing us clarifications about this case and will continue to monitor it closely.